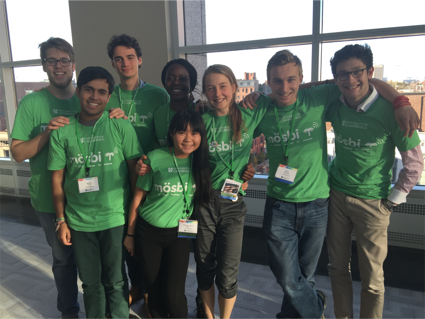 iGEM is an international undergraduate synthetic biology competition where student teams are given access to DNA parts from the Registry of Standard Biological Parts. The aim is to use these and other new parts to design and construct new biological systems and operate them in living cells. 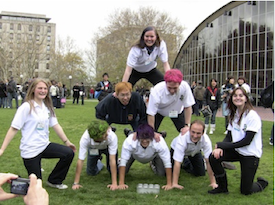 (see: http://igem.org). 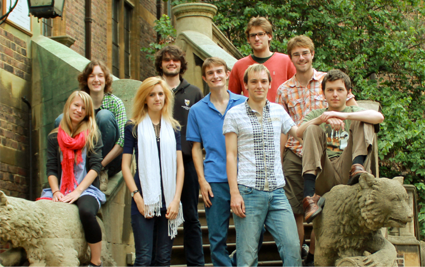 Cambridge provided the first team from the UK, and since 2005, there has been wide interdisciplinary support for a University of Cambridge team in the iGEM competition. 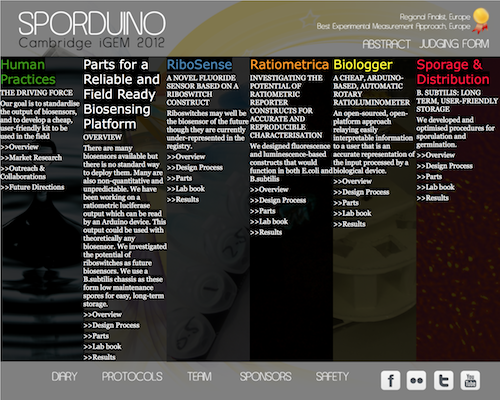 The competition provides a practical, laboratory based experience, with a focus on bottom-up design and assembly techniques, standardised biological components and cellular devices. 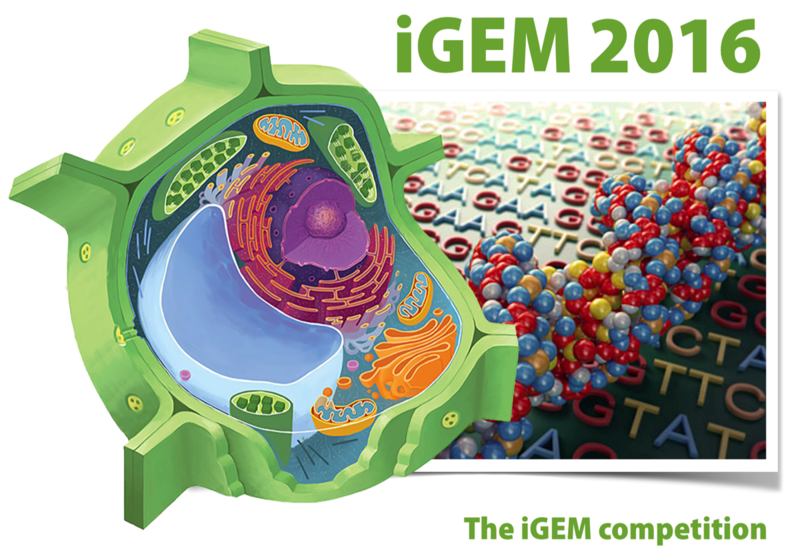 iGEM2016 sees the introduction of a new cross-track award for the engineering of plants and a new standard for DNA parts in the competition. 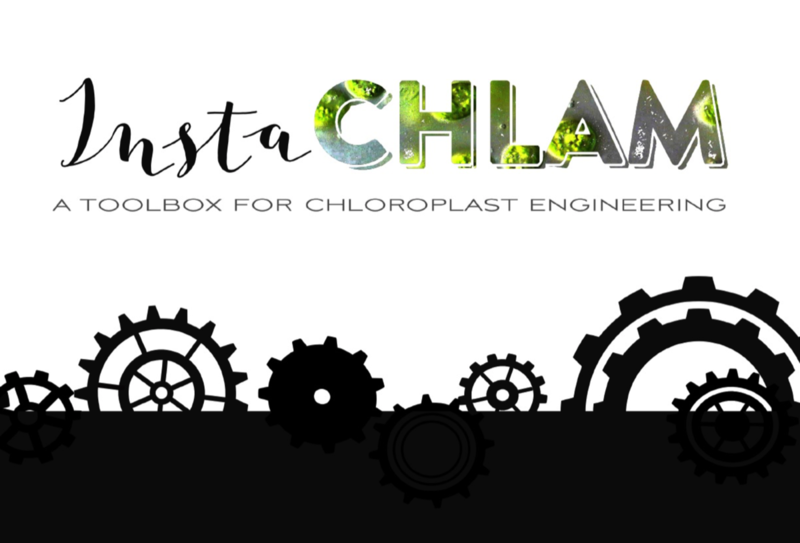 We are drawing together a team who can contribute in an interdisciplinary way to development of new DNA parts, quantitative methods and instrumentation for engineering of plant systems. Below is a listing of links to background information and information about earlier team efforts in Cambridge. 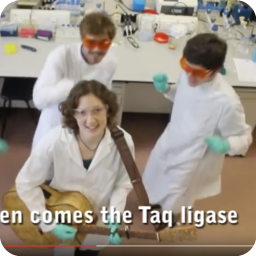 "Cambridge Consultants is very pleased and excited to be sponsoring the 2016 iGEM team. As world-leading product developers and technology consultants, we work at the edge of innovation where research science meets engineering. We see synthetic biology as a significant new technology with global impact that is rapidly maturing and we are now working in this area. 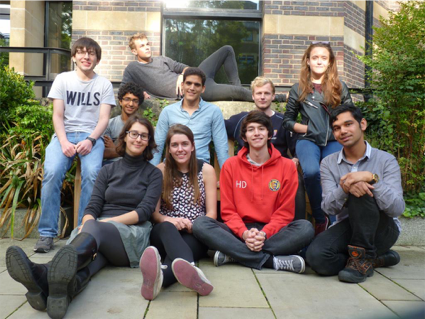 By sponsoring the iGEM team we have the chance to collaborate with - and learn from - the academic community both in Cambridge and worldwide and to find ways of combining science and engineering to achieve amazing results." 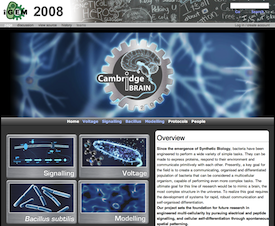 For more information about Cambridge Consultant's work in synthetic biology please see http://www.cambridgeconsultants.com/core-skills/synthetic-biology. 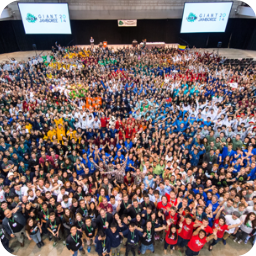 The iGEM Competition is an international competition for students interested in the field of synthetic biology. It is based on the Registry of Standard Biological Parts - a growing collection of genetic parts use for building biological devices and systems. 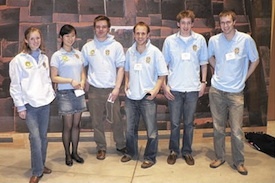 The first Cambridge iGEM team entered in 2005, first from the UK, with 12 other teams (from the US, Canada and Switzerland). 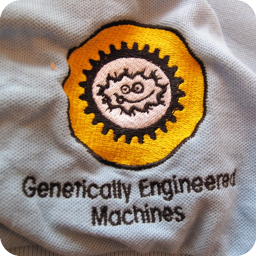 Factoids: Cambridge introduced the first team shirts and logos to iGEM. 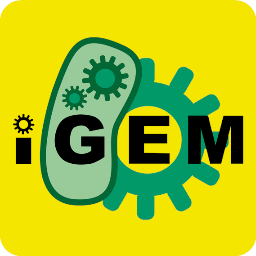 The iconic iGEM logo was designed by James Brown from the Cambridge iGEM2005 team. 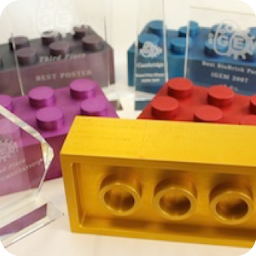 Awards: Gold 2016, Best Plant Part, Gold 2015, Gold 2014, Euro Finalist & Best Measurement 2012, Gold 2012, Gold 2011, Finalist 2010, Best Wiki 2010, iGEMers Award 2010, Grand Prize, BioBrick Trophy 2009. Best Environmental Project 2009, Best BioBrick 2007, 2nd Prize Documentation 2006, 3rd Prize Poster 2006, 2nd Prize Presentation 2006, Most Effective Approach 2005, Marshall Cultural Exchange Award 2005, Best Data & Data Visuals 2005. 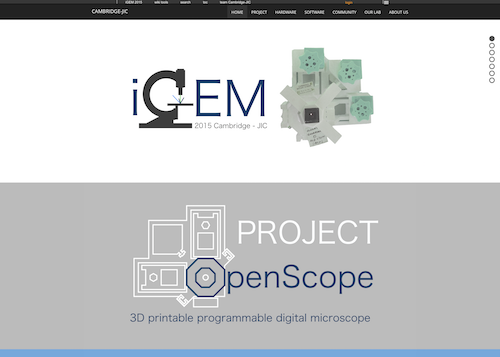 An ultra low-cost 3D-printed motorised web-streaming autofocus microscope for synthetic biologists, letting researchers tailor the microscope to their needs - allowing imaging on any lab-bench, in the incubator, fume-hood or the field using remote access and battery power, or use many OpenScopes for parallel rapid preliminary screening. A microscope for schools and laboratories with small budgets, based on low-cost and easily sourced components. Click here to view project wiki. 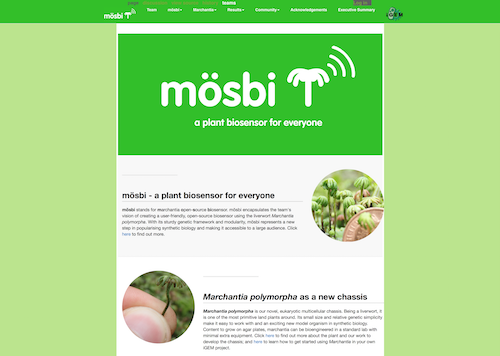 mӧsbi stands for marchantia open-source biosensor. mӧsbi encapsulates the team's vision of creating a user-friendly, open-source biosensor using the liverwort Marchantia polymorpha. With its sturdy genetic framework and modularity, mӧsbi represents a new step in popularising synthetic biology and making it accessible to a large audience. 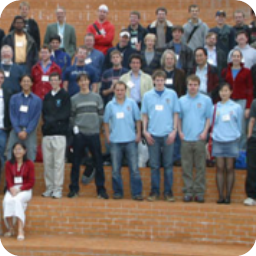 Click here to view project wiki. iGEM teams have characterised an array of biosensor components, but outputs are often inconsistent and, despite common assembly standards, it remains difficult to compose functional and precise biosensor circuits. 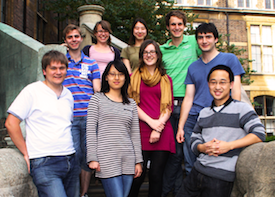 The Cambridge iGEM 2012 team aimsed to create new standards for characterisation, validation and application of biosensors. The protocols aim to be modular in design, allowing any biosensor built to this standard and measured with low-cost instrumentation that we will prototype ourselves. Novel fluoride biosensors were adapted to use light as an output and interfaced with microcontroller electronics. Click here to view project wiki. 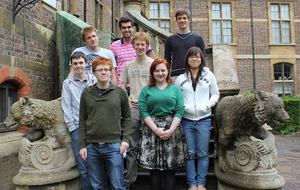 The Cambridge iGEM2011 team worked with bionanophotonic systems - experimenting with the use of self-assembling protein structures from squid that produce striking iridescence in vivo. They produced BioBrick compatible forms of squid reflection, expressed and purified the protein, and produced thin films with bright and dynamic reflectance properties (see right). 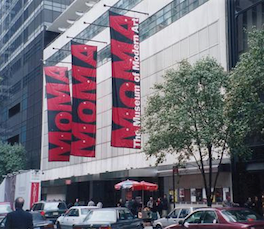 The films responded in fractions of a second to physical changes, such as humidity-induced film swelling. Reflectins form a new class of potential biosensors with radically improved properties. 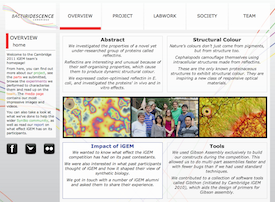 The team also produced improved software for Gibson Assembly, with an interface to sequence libraries (including the iGEM Registry), graphical construction tool and automated PDF output of oligo design and experimental protocol. Click here to view project wiki. 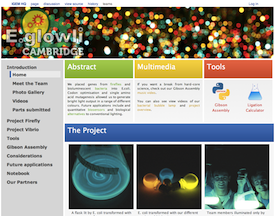 The Cambridge iGEM2010 team worked on regeneration systems for bioluminescence and better, brighter light output, different coloured luciferases, instrumentation for quantitation and modelling the feasibility of using bioluminescent trees as a replacement for street lamps. 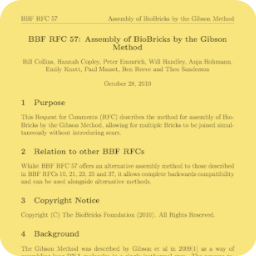 They also pushed technical boundaries, and promoted the adoption of advanced DNA assembly methods, which have emerged from Daniel Gibson's genome-scale synthesis work at the Venter Institute. Click here to view project wiki. Benjamin Reeve (Biology), Anja Hohmann, (Biology). 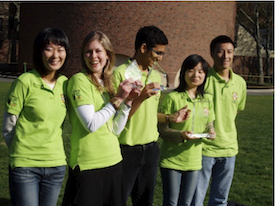 The Cambridge iGEM2009 team created two kits of parts to facilitate the design and construction of biosensors in the the future. The team successfully characterised a set of transcriptional systems for calibrated output - Sensitivity Tuners, and successfully expressed a spectrum of pigments in E. coli, designing a set of colour generators. Click here to view project wiki. 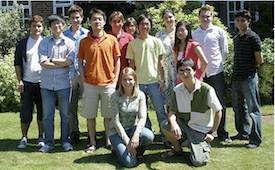 The Cambridge iGEM2008 team project aimed to set a foundation for future research in engineered multi-cellularity by pursuing electrical and peptide signalling in bacteria, and cellular self-differentiation through spontaneous spatial patterning. Click here to view project wiki. 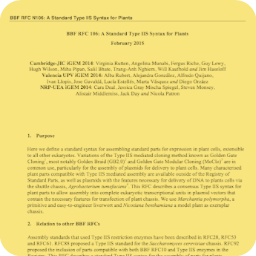 In order to engineer interesting and useful functions in biology, a robust and extensive range of intra- and inter-cellular signalling pathways must be available. By analogy with the Internet, where adoption of the standard TCP/IP communication protocol has enabled worldwide connectivity from supercomputers to refrigerators, such a system must be accessible to cells of different heritage and structure (different “operating systems”) with the potential for processing messages received and taking action dependent on their content (see diagram at right). 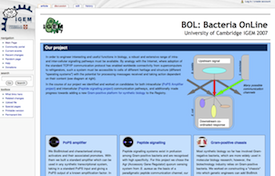 In the course of the project they identified and worked on candidates for both intracellular (PoPS Amplifier project) and intercellular (Peptide signalling project) communication pathways, and additionally made progress towards adding a new Gram-positive platform for synthetic biology to the Registry. Click here to view project wiki. 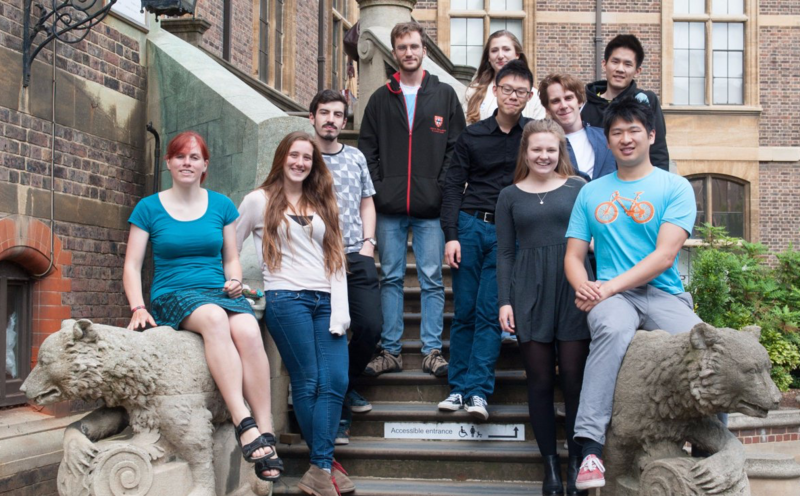 Yi Han (Engineering), Narin Hengrung (Biology), Yi Jin Liew (Biology), Dmitry Malyshev (Biology), Stephanie May (Engineering), Yue Miao (Biology/Maths), Stefan Milde (Biology), Xinxuan (Sheila) Soh (Biology), Lovelace Soirez (Engineering), David Wyatt (Engineering), Zhizhen (Jane) Zhao (Physics). Multicellular organisms undergo self-organisation during development. Our aim was to engineer self-organised pattern formation in free swimming bacteria cells by providing them with an artificial system allowing bi-directional communication. Escherichia coli cells would be equipped with genes derived from independent quorum sensing systems from Pseudomonas aeruginosa and Vibrio fischeri. These systems can enable communication between cell populations and regulated switching between competing cell fates. The negotiation of cell fates within bacterial populations can be visualised precisely by expression of different fluorescent proteins. We further sought to construct biological parts that would render possible the construction of a population based bi-stable switch and modelled the behaviour of single cells as well as the interactive behaviour of populations of cells containing these genetic circuits. Our experiments verified that differential cell motility in combination with position-dependent gene expression has the potential to generate complex patterns. Click here to view project wiki. 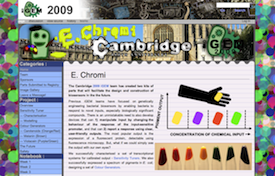 The Cambridge iGEM2005 team explored a method to control chemotaxis using maltose regulation. 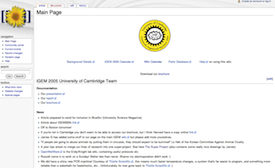 Click here to view project wiki. 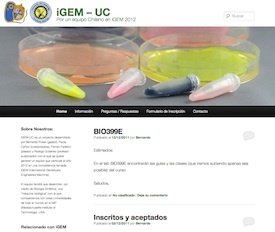 iGEM-UC es un proyecto de la UC, que junto a la Universidad de Cambridge-UK, pretende traer esta nueva disciplina a Chile, permitiendo que se trabaje con los biobricks y se desarrolle Biología Sintética en nuestro país. Fernan Federici has been shuttling between Cambridge and his alma mater, Universidad Catholica, Santiago, to help to run a course in Synthetic Biology and to set up Chile's first iGEM team - bringing the latest techniques in Gibson DNA assembly, biopigments and fluorescent proteins.